Apple had put up a page which featured a few Apps which were unique on the iPad. Apple has updated the page and has added some new apps like Zillow, Glee and Things. Along with the Apps, Apple has even put up a HD video demonstrating the App. The new Apps include – Alphabet Fun, Glee, Zillow and Things for iPad. These Apps completely change the way we interact with the iPad and Apple found it worth featuring them. Apple has put up a page on their website dedicated to Apps available on the iPad. They have 11 featured Apps and have even posted videos about how the apps function and appear. 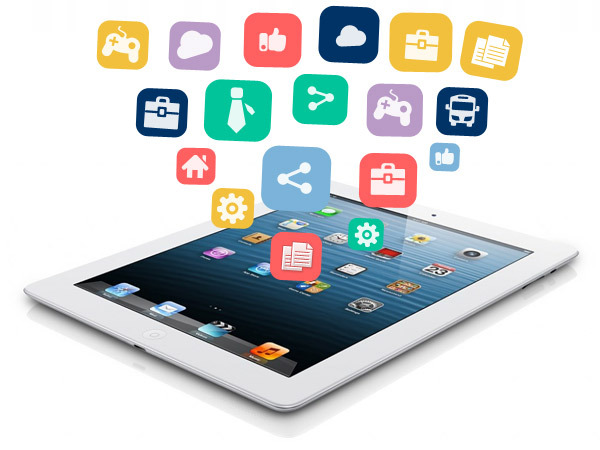 According to Apple, Apps for the iPad would be something which you haven’t seen or touched before and with every passing day more and more apps are added to the App Store which make your relationship with the device even more stronger. If you have got your iPad, head over to the App Store and check them out. I specifically like the Asphalt 5 App due to the graphics it offers and Epicurious would be good for Mom’s .There is even a new section under the iPad Page known as – ” Apps for iPad”. These apps look really very promising and would differentiate the iPad further more from the iPhone. “The Elements” App is a creative and a unique idea. It features all the elements in the periodic table and puts them together in an interesting manner. The large screen display with IPS technology truly makes the iPad a revelation.